Seeking new projects! Have an idea to help Cabrera? Or a cause you wish to support? Friends of Cabrera, Inc. is always open to receiving and facilitating any support or new project proposals that will benefit Cabrera and improve the quality of life for it’s citizens. Prepare a project proposal – it doesn’t have to be a thesis, a simple 1-2 page write up (plus cover letter) outlining the key components of the project – the guidelines can be found here. Submit – submit your proposal to contact@friendsofcabrera.org for review. 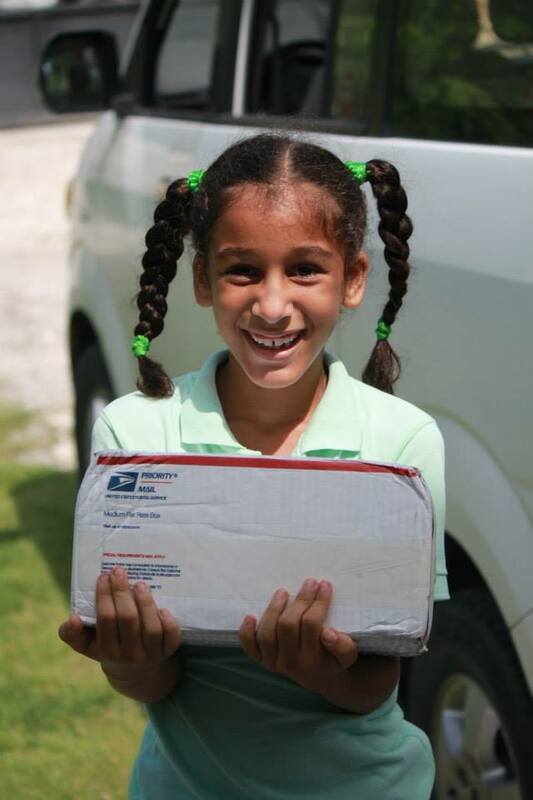 Once approved we will immediately upload your project on our website to be available to potential donors of Friends of Cabrera, Inc. as well as for review to include in our future fundraising events. Wish to support a great cause or project? Select one from our list or let us know if there is one you would like to support that is not on our list and head over to our donations page and pledge your donation. Bienvenidos! 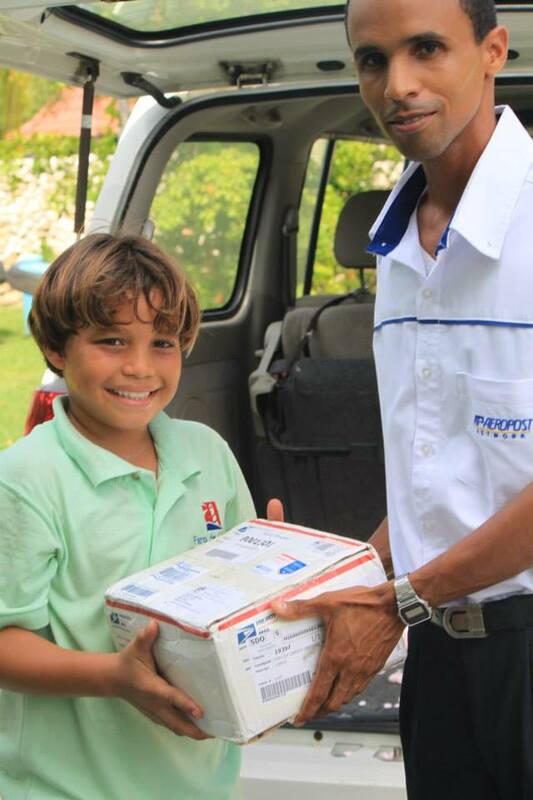 El Faro de Cabrera on the north coast of the Dominican Republic in the small town of Cabrera is best described as a home school co-op and community center that focuses upon providing a quality and affordable educational option to local families. There are 2 available teaching positions for Fall 2017. It is a wonderful opportunity for experience in ELL and cross-curriculum education as well as for people looking for an active role in community development. 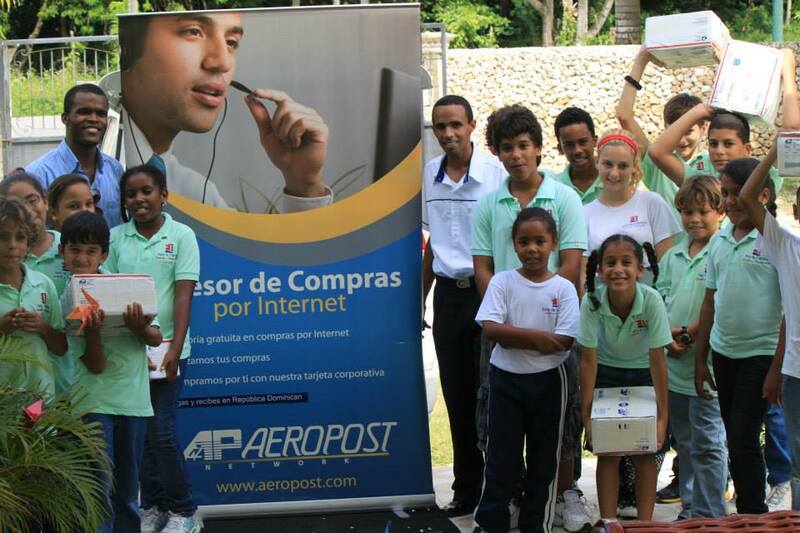 Thank you Aeropost for showing your support for the cause of education in the Dominican Republic. 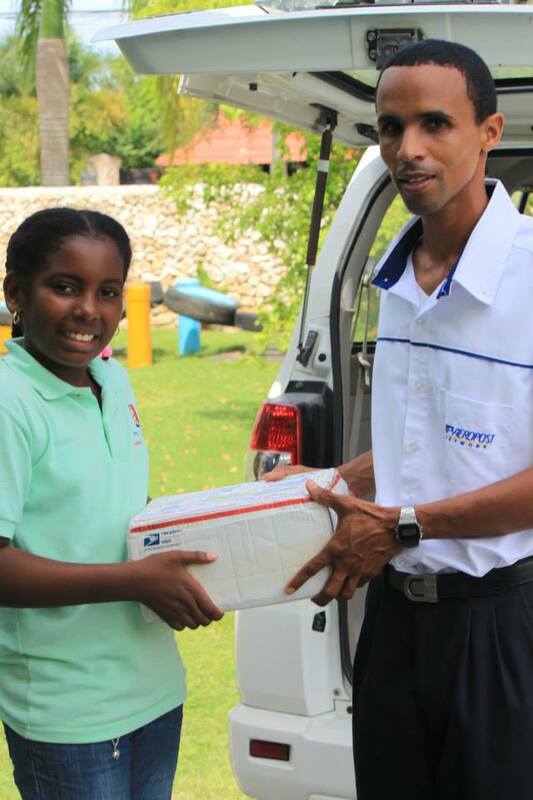 Words can not express the gratitude from Friends of Cabrera, Inc., Faro de Cabrera and especially all of the children that will benefit from these education materials that your company sponsored to bring from the United States to our center in Cabrera, Dominican Republic. Thank you! Gracias!!!! Friends of Cabrera, Inc. and Faro de Cabrera, SRL have, together, occupied a new education community centre in Cabrera. This two story building with bright, airy spaces, a completely enclosed property and almost 1 acre of green space of which opens directly to access the community baseball field and elementary public school makes us very excited about the potential here. The work has just begun, would you like to help? We hope to build a basketball court, are in need of outdoor night lighting and to create pathways and play spaces that are not muddy. Perhaps organic gardening is your interest and you can help us build a compost and equip a growing learning center? Or maybe you are inspired to develop a children’s playground? Any talent or resource you can share becomes an important part of the Friend’s Center for the enjoyment of the community. As of the fall of 2011, Friends of Cabrera, Inc. has registered and is operating a new board of directors. Together with our advisory members and municipal representatives we are a team dedicated to the positive development of Cabrera and to programs that improve the quality of life for Cabrera’s citizens. Accessing the funding capabilities of Friends of Cabrera requires submission of a written grant proposal for evaluation by the Board of Directors. Grants need not be overly complicated yet they do have to provide a thorough overview of the project to be funded and the clear, measurable benefits to the citizens of Cabrera. FRIENDS OF CABRERA, INC. is organized for charitable, educational, and cultural purposes including, without limitation, to use volunteer labor, grants, donations and donated building materials to create and build public works projects that to improve the lives and benefit all citizens of the Municipality of Cabrera, Province of Maria Trinidad Sanchez, Dominican Republic. Our vision is to enable the Municipality of Cabrera to develop cohesive, sustainable programs to encourage development of a culturally rich, ethnically diverse and educated community of citizens from the Dominican Republic and other foreign countries. As of August 2009 we have been granted the 501(c)3 status by the U.S. Internal Revenue Service. A copy of this authorization is available for download from our Donate page.